TEN+ (10.18) ACRES of PRIVATE VIEW LAND! Located in SOUTHWESTERN RIVERSIDE COUNTY, the fastest growing County in California. 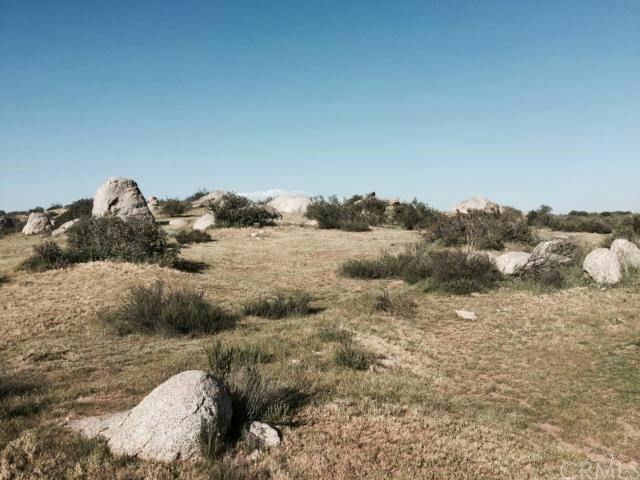 This land is a fantastic family portfolio investment property! BUY & HOLD! Build on this extremely private parcel or use as a family get-a-way to bring your camper, RV, 5th wheel, tent & toybox. 277'' frontage on the North & runs to the end of the cul-de-sac (about 900').Great rectangular lot to place a mobilehome or custom home/ranch, plus outbuildings, garages, barns, stables, sheds, etc. PLANT A GARDEN/ORCHARD! SCE power poles are approx. 1000' away from your North boundary on this lot. Possible to use land as a "OFF THE GRID" property & wait until your neighbors to the North, hookup. Use, solar, wind, propane, water tanks, drill a well! NO UTILITY BILLS! Great way to build your financial retirement! Plus give your family the simple life, without all the hustle & bustle. Very private lot, yet only minutes to all the local conveniences-shopping, schools, churches, post office & parks & new AMTRAC. Just North of Highway 74. Easy access to the I-215, I-15, Hwy 79 & the 10 & 60 Freeways. LOS ANGELES DOWNTOWN AREAS, ORANGE & SAN DIEGO & SAN BERNARDINO all very close drive. BUILD or LANDBANK HOLD for your INVESTMENT PORTFOLIO! BUY LAND!